Since the weather is beginning to turn into fall (Well kind of for me ~ I do live in Florida – LOL), I have been itching to put some touches of fall around the house. I love the rugged look and smell of scented pine cones. Not to mention the fact that you can find them everywhere and for FREE! So this year I thought it would be fun to make my own scented pine cones and use them as fall decorations. It is quite easy to make and the kids can even join in on the fun. So let get Crafting! Clean the Pine Cones – If you collected the pine cones yourself, you should clean them so you won’t have trouble with insects or sap. Wash them in the sink. Clean the Pine Cones Pt. 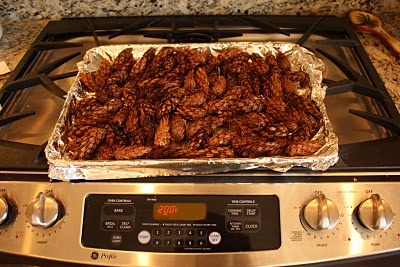 2 – Place on a foil-covered cookie sheet and bake for 1 hour at 200F. 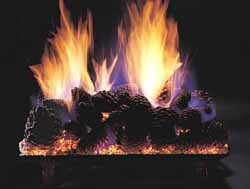 Stay in the kitchen to watch for any smoke or fire, as there is a small chance due to the sap. 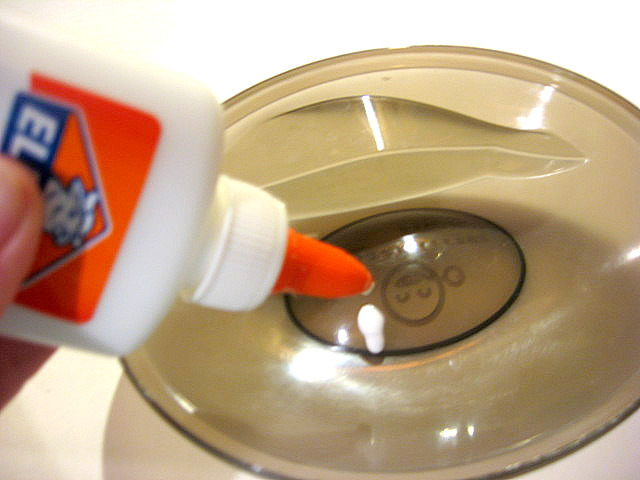 Prepare the Glue – Mix together equal parts of glue and water in a bowl. 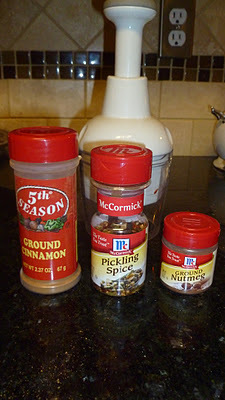 Mix the Spices – Place your desired spices into a plastic bag and mix together. Some suggestions: Cinnamon, Allspice, Ground Cloves and/or Nutmeg. 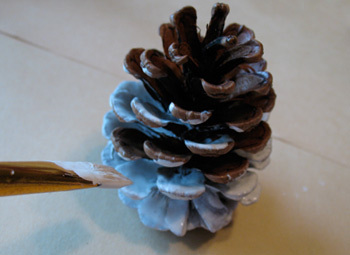 Coat the Pine Cones With Glue – Dip a foam brush into the glue mixture and paint onto the pine cone. 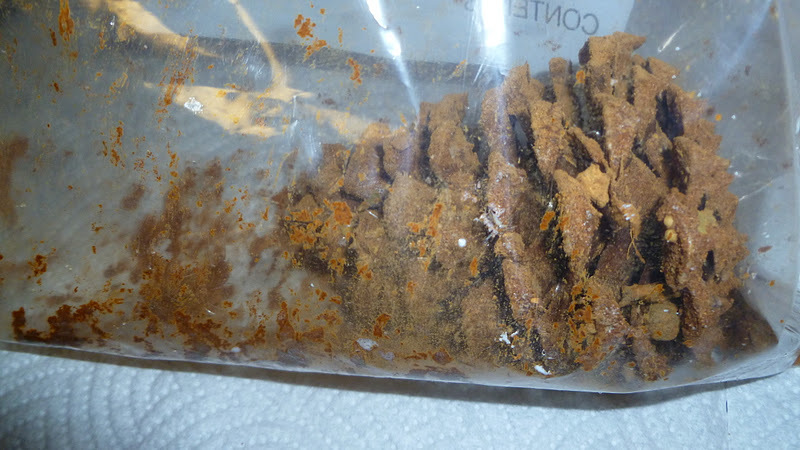 Add the Spices – Place the glue-covered pine cone in the spice mixture bag, then shake. 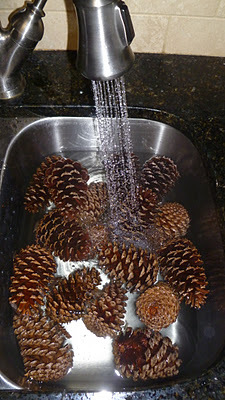 Dry the Pine Cones – Allow the pine cones to dry in the bag at least overnight. Tap them when you take them out of the bag to remove any spices not sticking to the glue. 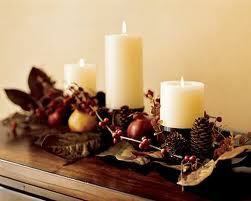 * Designer’s Tip – These pine cones can also be added to a fire to fill your home or campfire with a lovely aroma. Posted on October 15, 2012, in All Things FABulous and tagged Autumn, craft, DIY Monday, fall, holidays, home decor, scented pine cones, tutorials, winter. Bookmark the permalink. 2 Comments.